At Trust Waikato our vision is for resilient and vibrant Waikato communities.Our mission is to invest wisely, grant effectively and to be operationally agile. If you’re passionate about sport, health, fitness, wellbeing and human performance, and could gain the qualification you need to start a new career in the industry — why wouldn’t you? Our programmes give you the opportunity to understand the science behind how your body works, providing you with insight and the ability to get better results for your future clients or yourself. Whether you’re driven to help others reach their goals, prepare for competition and achieve excellence like many of our students, or an elite athlete wanting the knowledge to reach your potential in competitive sport, we can provide you with a qualification that is recognised and respected worldwide. Your recruitment asset in Waikato. Asset Recruitment is Waikato’s number one recruitment company for employers and job seekers. The company specialises in temporary, permanent, executive and industrial employment. With more than 25 years in the industry, Asset Recruitment understands the market well and gets the right ﬁt between job seeker and employer. Asset knows the importance of a successful placement and has the formula for achieving it every time. Hamilton Radiology provides general radiography, mammography, fluoroscopic procedures, obstetric, small part, musculo-skeletal, and doppler ultrasound, CT, pregnancy ultrasounds, ECG and other radiographical services. Heathcote Appliances has been owned by the Heathcote family since 1946. The original store based in Morrinsville sold a wide range of appliances and supplies to the local community.Heathcotes has continued to grow over the years to 4 Appliance stores, a certified appliance service department and a specialised air conditioning/heat pump installation and service team. At Kip McGrath Hamilton East, we have been successfully providing maths and English tuition to primary and secondary children through 80 minute sessions which include one-on-one attention with a tutor, and a combination of written and computer-based activities in a small group learning environment. Success in learning helps to boost a child’s self esteem and encourages a positive attitude towards learning. 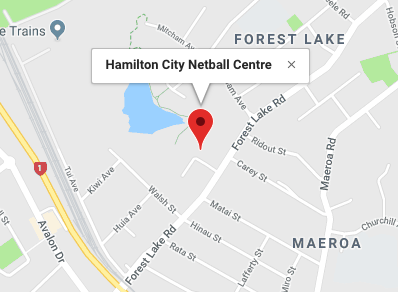 We opened our first office in Hamilton in 1969. Since then we have established ourselves as Hamilton’s real estate industry leader. The Lodge group is now comprised of five specialty businesses focusing on residential sales, residential property management, rural sales, commercial sales and leasing and body corporate management. The group’s corporate and private catering brand. Resident caterer at a range of Auckland and Waikato based venues, plus a number of open venues throughout the upper North Island. Specialists in conferences, functions, events and the corporate sector. Discover a new way to work with our business-changing technologies. Ricoh offers a large range of business-changing services and products and, more importantly, the expertise to implement them quickly and accurately in a way that most benefits your business. “The Base” retail and commercial centre at Te Rapa, on the northern entry to Hamilton City with over 160 retailers including 30 food outlets. We have over 3,000 free car parks, including 514 covered basement parks directly under Te Awa with direct access to the mall via escalator, travellator, lifts and stairs. 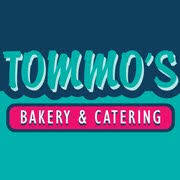 Tommo's Bakery is a favourite in Hamilton. Unbeatable taste and value, served up by owners Phuong and Diem for over 25 years. Great Catering options too. Vege King established in 1997. We are one of the best vege shop in Waikato. We also won few awards. we have been voted for best shop in waikato in 2003, 2005, 2007. WEL Energy Trust was formed in 1993 for the purpose of holding shares in the newly created lines company WEL Energy Group. The Trust is now a 100% shareholder of WEL Networks Ltd, as the group is now known, and owns these shares on behalf of the community. The Trust invests about $2.5 million each year into the community through grants. Grassroots Trust was established in 2003 to support sport, education and community sectors.It’s our intention to grow the funds available and to contribute funding across the sport, education and community sectors.